When asked what YOU Boston means to him, 17 year old Stevenson Elianor replies,“ I have learned to do things out of passion and not for just the paycheck. ” Stevenson came to YOU Boston in the summer of 2017, looking for his first job.  He was still fairly new to the Boston area, having moved to the U.S. from Haiti just a year prior. A job would help him earn money to support himself, and while his English was limited, he hoped work experience would help him improve. Stevenson began working right away with YOU Boston’s career development specialist, Christian Rivera, who helped arrange an individual internship placement with the local Mattapan church, The Voice of the Gospel Tabernacle. While working with the parish he assisted with the childcare program, helped organize food pantry donations, and completed numerous maintenance and beautification projects. This internship provided Stevenson with more than just work experience and a paycheck, in his words, working with the church taught him how to “care for others”, and gave him a chance to give back to his newly adopted community. During this time, Stevenson also began working with YOU Boston case manager, Courtney Page, who helped him access additional opportunities and supported him in making progress towards his goals. Since working with Courtney, Stevenson has already accomplished a lot. In February 2017, he landed a job in the private sector working at Chill on Park, an ice cream shop in Dorchester that focuses on youth employment. As a junior at Madison Park High School, he is currently taking classes to be a medical assistant. 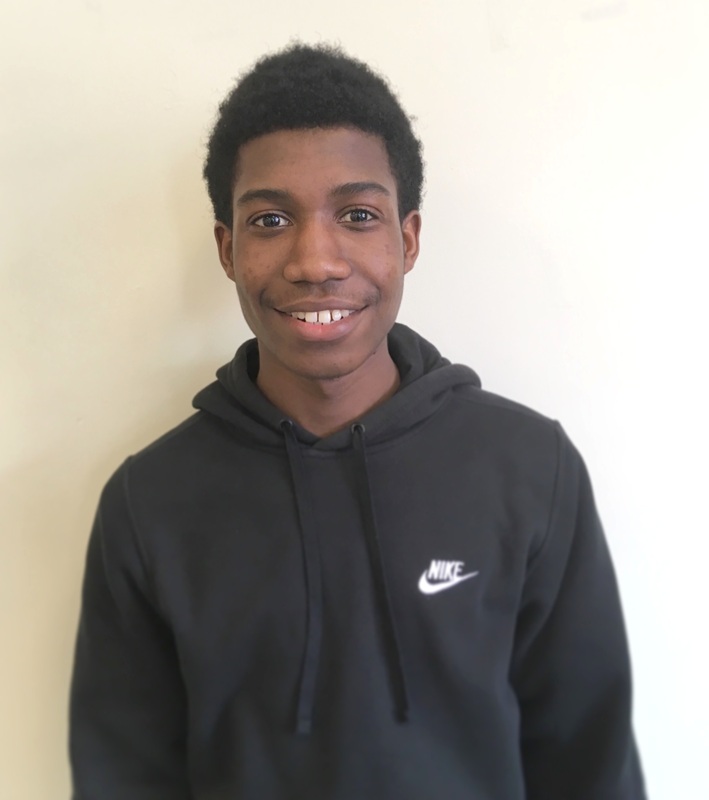 He is also a member of the Mayor’s Youth Council where he meets monthly with other Boston-area youth to advise Mayor Marty Walsh and members of his administration on youth-centered policies and programming. With assistance from Courtney, he also enrolled with ABCD’s Future Protectors Initiative. Through this program, Stevenson has been taking college level courses and will be able to participate in a paid civil service internship this summer. And through it all Stevenson’s English skills have greatly improved, making it easier for him to communicate and connect with new people. 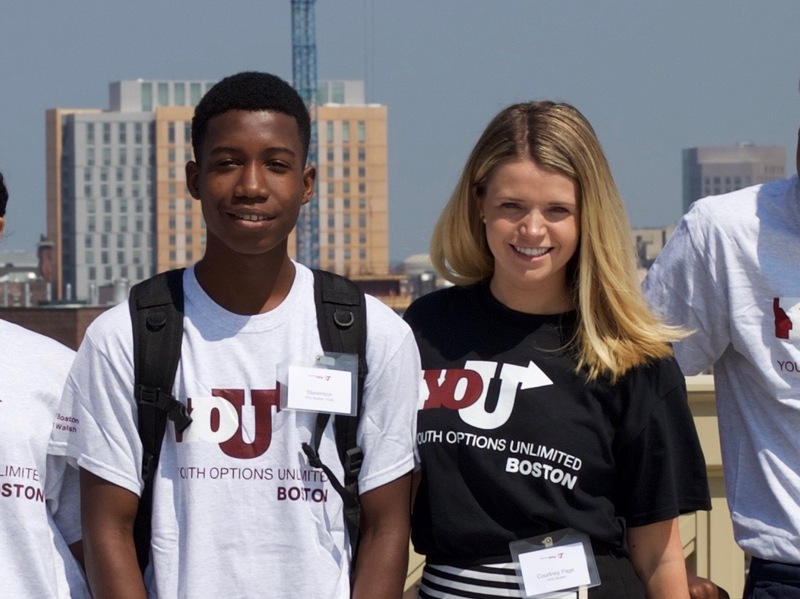 When talking about how YOU Boston impacts youth like him in the community he says “YOU helps young people think about their future and opens their minds to opportunities.” When it comes to his own future plans, he recently discovered a new passion for photography while attending YOU Boston’s End of Summer BBQ celebration. During the celebration, Stevenson met with Katie Liesener, from the Mayor’s Office of Workforce Development, who was taking photos for the event. She showed him how to use a camera and shared tips for taking his own pictures. In ten years, Stevenson now sees himself as a college graduate, working as a photographer and videographer. Stevenson’s story demonstrates what can happen when a young person is given the opportunity to use their full potential. At YOU Boston we’re excited to see all that he continues to achieve, and look forward to supporting him on his path towards success. Stevenson with his YOU Case Manager, Courtney Page, during the 2017 Summer Youth Recognition Event.